Monrovia – Mulbah Morlu, Chairman of the ruling Coalition for Democratic Change (CDC), has frowned on leaders of opposition political parties for what he termed as their silence not condemning alleged calls for the assassination on the life of President George Weah. Morlu blamed those who allegedly did the post(s) on social media, according to him, as opposition political parties’ supporters. “It is unfortunate that no leader from the opposition bloc has condemned recent calls by known supporters of opposition political parties calling for the assassination of President George Weah on Social media. “They have realized that you cannot win this man who has changed lives. Supporters of Alexander Cummings, Joseph Boakai and Charles Brumskine are on social media calling for the assignation of President Weah. “They have resulted to propaganda and scare tactics and they are now talking about assassination,” Morlue stated Wednesday, February 6, during a press conference at the CDC headquarters. Morlu further stated that gone are the days when Liberians were made to take up arms against their leaders because of few people’s egos. Like other times, he again reiterated that the President will go for two six-year terms. At the moment, the President has few more years to end his first term and a second six-year term is not binding to him by law. Chairman Morlu, however, deliberately chose to ignore open threats from his supporters. He didn’t caution or condemn them, too, like he did to the other people he claimed are supporters of Cummings, Boakai and Brumskine. 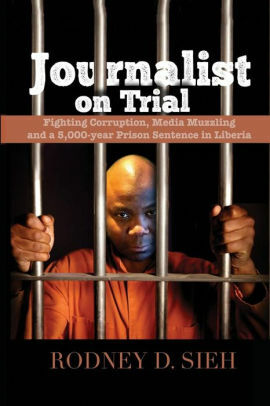 Another poster went as far as telling talk show host Henry Costa, who has been using his platform to call for a protest, that he would be hunted and killed if he showed his face in Liberia. Mr. Abraham Darius Dillon, administrator of the Darius Dillon Center for Intellectual Exchange, has a pinned post on Facebook in which he claimed that he, too, has been receiving threats of late over his critical views against the government. Ironically, President Weah who has repeatedly assured Liberians that their rights and liberties will be respected has remained quiet amid numerous threats on social media from members of his administration. “Ellen Johnson Sirleaf and her cohorts are responsible for this devastated economy. In a conciliatory tone, Morlu called on all Liberians to rally around the President; adding: “He is the President of all Liberians.” He also called on the media to partner with the Weah Government. He praised the President for doing everything to promote free press. “We call upon the media to join us build Liberia. President Weah is your friend; we are not saying shield us for doing wrong. We want your reportage to reflect the good things done by this government.